The scientific goal of the QUPLAS (QUantum interferometry and gravity with Positrons and LASers) antimatter experiment is the opening of two new fields of investigation in modern particle physics: antimatter interferometry, using both an elementary antiparticle (the positron, e+) and a bound e+/e- state (positronium, Ps), to test the validity of the fundamental CPT symmetry, and gravitation studies with positronium, an innovative way to inspect the Weak Equivalence Principle with a particle/antiparticle symmetric system. The first stage of the experiment aims at the comparison of positrons and electrons interference, to compare for the first time the quantum interferometry pattern of a particle with the one of its own antiparticle. 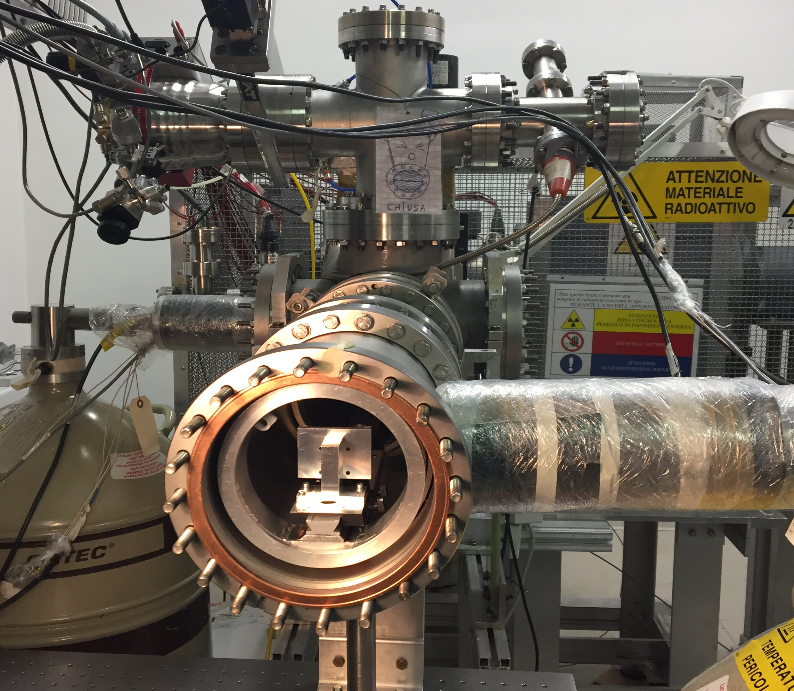 To achieve this goal, a dedicated interferometer is being assembled at the VEPAS (Variable Energy Positron Annihilation Spectroscopy) positron beamline located at the L-NESS (Laboratory for Nanostructure Epitaxy and Spintronics on Silicon) Laboratory of the Milano Politecnico in Como (Italy). A continuous positron beam will be used to produce Talbot-Lau interference by means of micrometric gratings. 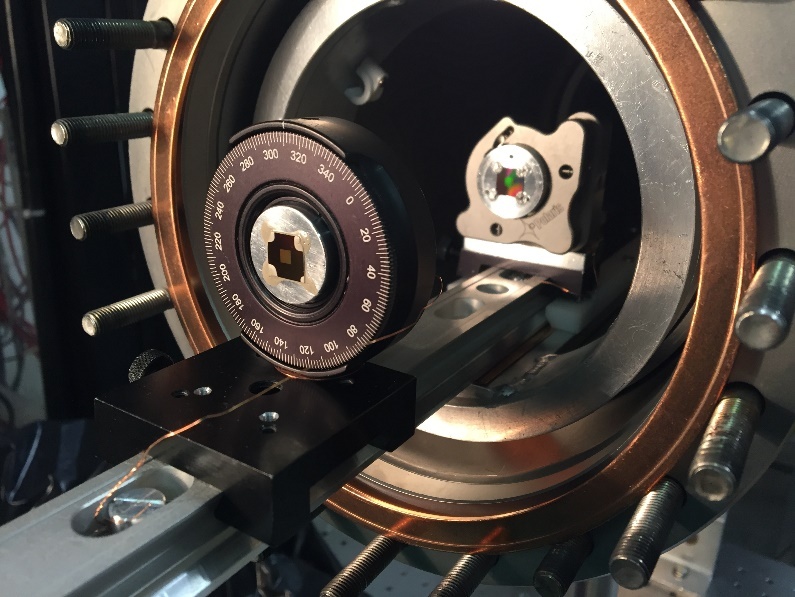 The particle detection relies on the employment of emulsion based high-precision position detectors, which are being developed by the physicists of the Bern group in QUPLAS. Pictures of the first interferometer prototype and the micrometric gratings are presented below. 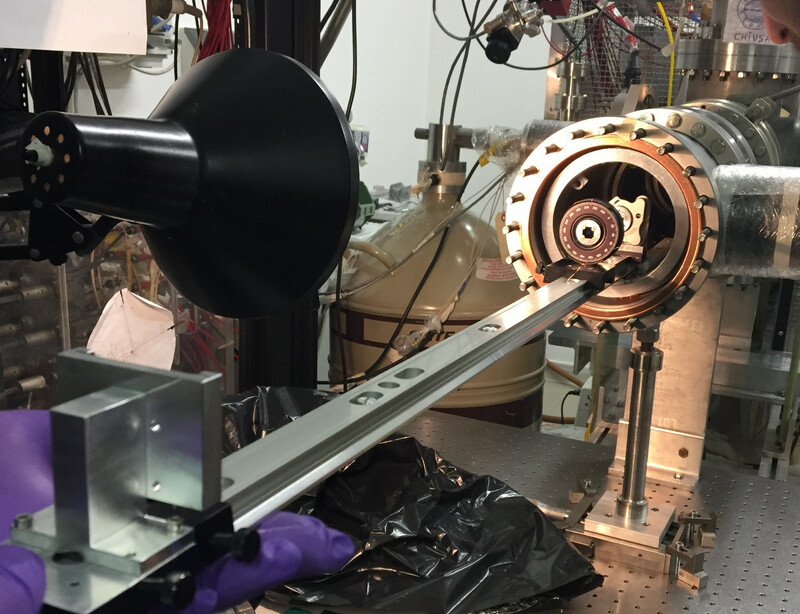 An intensive R&D program has been conducted by the bernese physicists to assess the detectability of very low energy particles with emulsions and the capability to detect positrons at the keV energy scale has been successfully demonstrated. More details available in this article.